Welcome to the website for the MSU Anthropology Archaeology Field School at Aztalan. 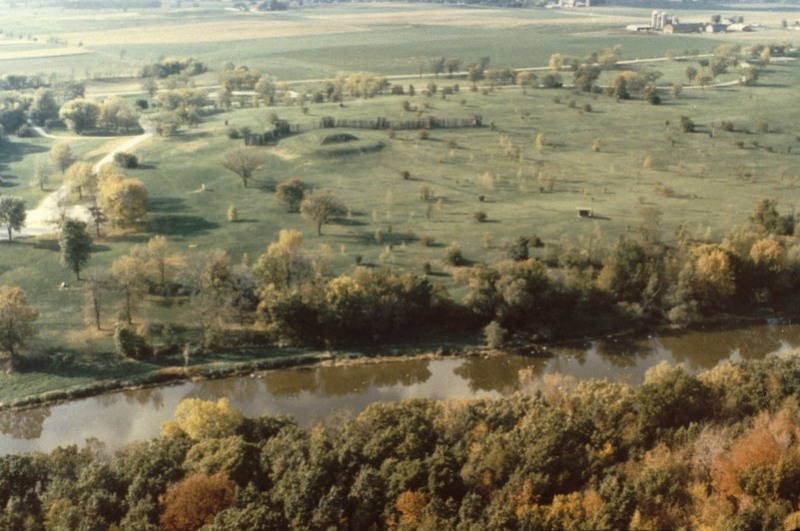 Aztalan is a large Middle Mississippian site (ca AD 1000-1200) that is located between the modern cities of Milwaukee and Madison. 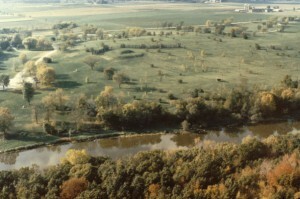 Aztalan is the most famous archaeological site in Wisconsin, and it is considered to be the northernmost palisaded Mississippian village. Professor Goldstein has been working at and around the Aztalan site for about 35 years. This summer’s field school may be her last one at the site. We will be exploring two separate areas within the main palisade – a gravel knoll that was likely used as a mound or sculpted surface, and an extension of the palisade whose function is unknown. This work should allow us to get a better picture of the overall site structure and function. This entry was posted in Uncategorized on February 11, 2013 by Lynne Goldstein. LYNNE GOLDSTEIN is Professor of Anthropology at MSU, where she has been since 1996. She previously worked at the University of Wisconsin-Milwaukee, and the majority of her research has focused on Wisconsin and the Great Lakes region. Goldstein is currently Publications Director for the Archaeology Division of the American Anthropological Association; her term ends in 2016. In 2000, Goldstein completed a four-year term as Editor of American Antiquity, the quarterly journal published by the Society for American Archaeology. She earned her BA in Anthropology from Beloit College in 1971, and her Ph.D. in Anthropology from Northwestern University in 1976. Goldstein has authored numerous publications on archaeological topics, and has served and continues to serve on various national advisory committees on behalf of archaeology. Goldstein's research is especially focused on the late prehistoric period in U.S. Great Lakes archaeology, on historic period cemeteries, and on the analysis of mortuary practices. In addition to research on the Wisconsin and Illinois, she has worked in California and Arizona on historic period cemeteries. She has worked at the Mississippian site of Aztalan, in southeastern Wisconsin for many years. In 2013, Goldstein returned to the Aztalan site with two colleagues where they collected data from two sets of excavations in order to allow better interpretation of the site structure. Beginning in 2007, Goldstein created the Campus Archaeology Program – a research outreach and training program that focuses on the archaeology of MSU. The program is funded by the university and allows both graduate and undergraduate students to get real world experience in doing archaeology and interacting with various offices and people on and off campus.